Read a brief account of walking in the Lake District. 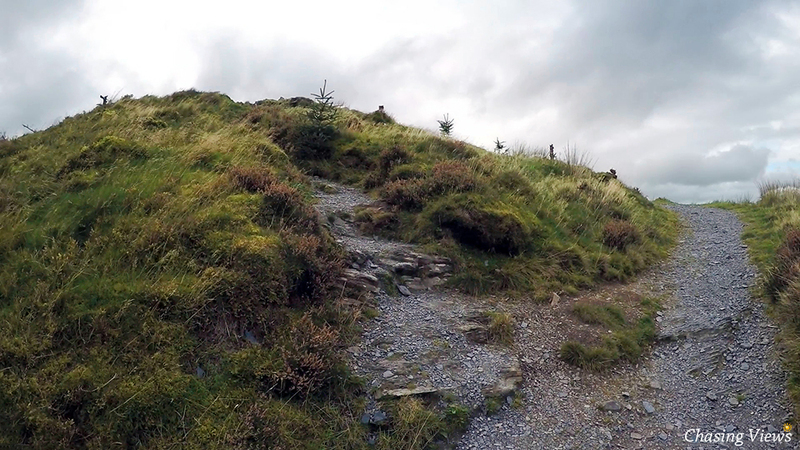 More specifically, Dodd Wood to Dodd Wood Summit. 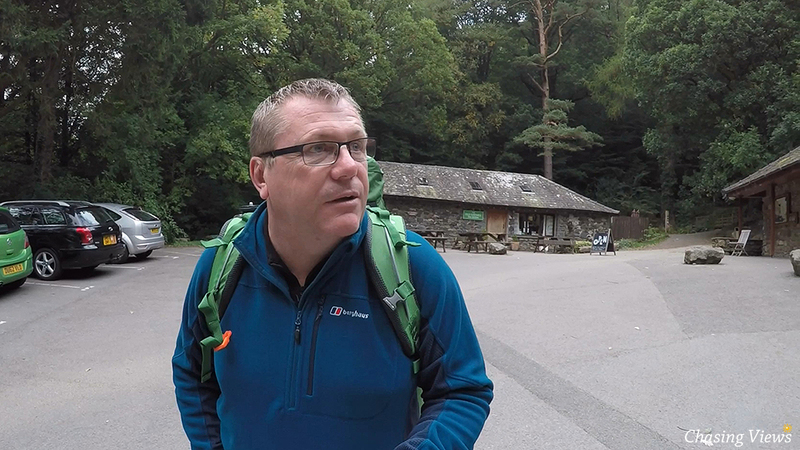 If you prefer watching videos about walking in the Lake District. You can watch my walking video in full at the bottom of the page. Walking in Dodd Wood turned out to be very peaceful. Having arrived at around 15:00, it wasn’t very busy. The weather was fair, part cloudy with a nice blue sky, but there weren’t many hikers wandering around. I was happy in a way, as it is far easier to capture video footage when it is not so busy. My walk started from the pretty tea rooms. The building is opposite some very clean public toilets. Once you have passed the tea rooms, the walk starts with a nice loose stone path. You are immediately welcomed by a beautiful waterfall. I assume that this is the rain water running down from Dodd, making it’s way towards Bassenthwaite Lake which is literally over the road from Dodd Wood entrance, or Derwent Water, the other side of Keswick. The deeper I walked into the wood, the more peaceful it became, with only the distant sound of trickling water. Conditions were great for walking, and as I could see bright blue sky through the very tall trees. I was very much looking forward to pitching my tent on the summit. I continued my walk, taking video footage along the way. The walk started to become rather steep in places. So much so, I decided to re-hydrate myself at a small bridge that crossed the fast flowing water. Such a peaceful little spot! After a short break, I decided to march on up the dry stone paths. What is this? Standing proud, a sign from The Forestry Commission, telling me that due to ongoing work to the paths, the Dodd Summit Trail was closed at a certain point. Although this didn’t cause any issues, I was worried that I wasn’t going to be able to pass that section of the trail. After walking for another hour or so, I reached the section of the trail that was meant to be closed. Fortunately for me, I was able to pass without putting myself or others in danger. There were no diggers on site, it was clear that heavy machinery had been operating on the section of the path. I can only assume that the project had come to an end. That was the uncertainty out of the way. 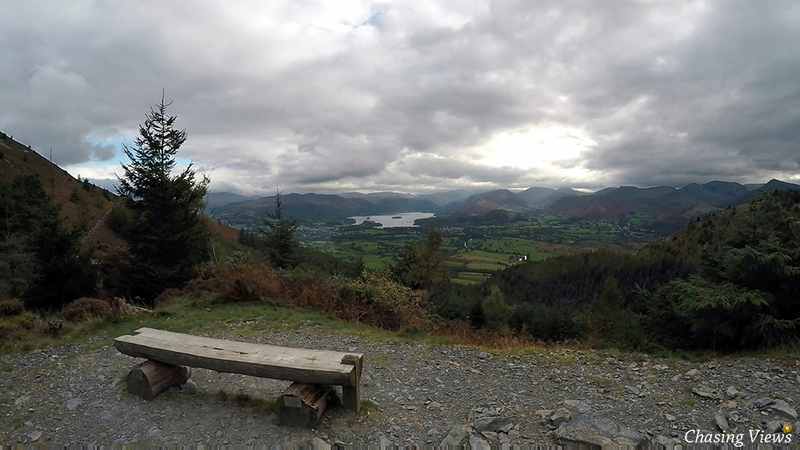 Approximately one mile left to walk before being greeted with a glorious view of Derwent Water and Keswick. Eager to see the view from an elevated position, my boots began to stomp a little faster. Although it was quite steep, it was an enjoyable slog. What a view! A misty view of Keswick and Derwent Water Lake, surrounded by mountains with peaks towering into the clouds. This is what it’s all about! The views are mesmerizing in the Lake District. I could sit here for hours just taking in the views. 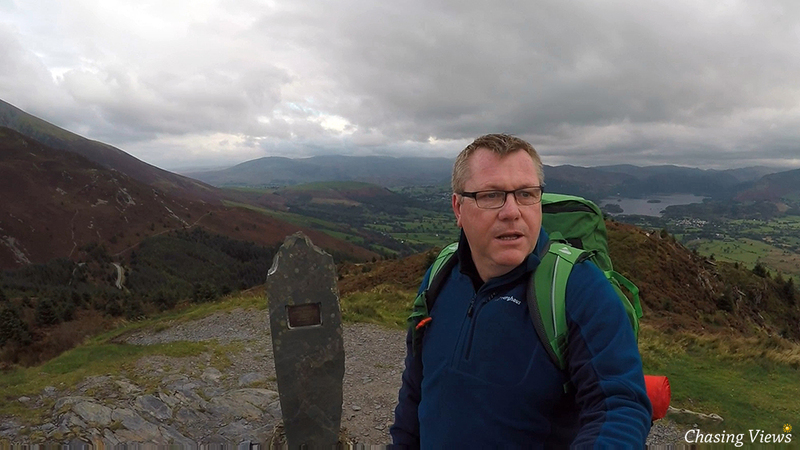 Unfortunately, it was extremely windy on the Summit of Dodd Fell. 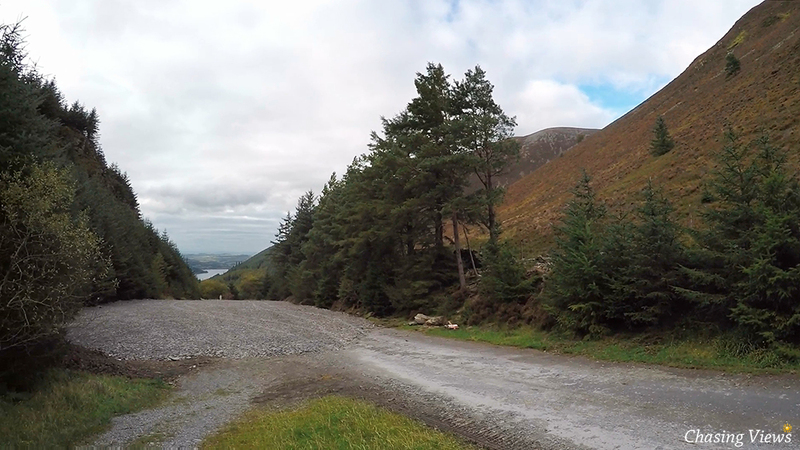 A stark contrast from the calm, peaceful Dodd Wood. After taking a drink and a rest whilst enjoying the view, I could see that the final push was only a short walk to the summit. A well marked out route that didn’t look as strenuous as the other fells I have accomplished while walking in The Lake District. It was a surprise to see how small the area was around the summit marker stone. I had planned on pitching my tent somewhere around that point. I was very eager to make that final push to explore the area above me, where I could finally put down my rucksack and feel a sense of achievement!